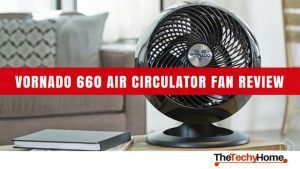 When sourcing for a fan or air conditioner for your home or office, you should be keen about the manufacturer. The rapid growth of the industry is as a result of increasing demand in different areas around the world. 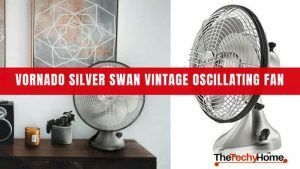 If you live in an area, which is consistently cold or hot then you know the importance of a quality fan in terms of performance and durability. 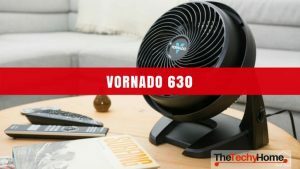 Instead of calling someone to fix, which is not only a waste of time but resources, take time to research and find a reputable supplier like Vornado that guarantees quality. Vornado standing fan is customized to suit individual needs. The adjustable height makes it suitable for different environments. While room size should be the basis of length adjustments, it is not a consideration when it comes to airflow. The number of people and environmental elements determine the speed level hence setting on a fan. The pedestal fan by Vornado delivers more than you can imagine. The 20-inch blades attribute to the amount of air circulated in the room in every minute. Diameter of blades matter because they increase surface area thus blowing of air. 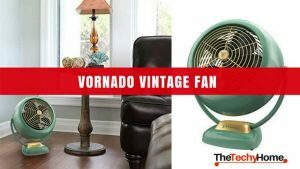 Vornado pedestal fan is suitable for home use. Despite its high performance, it cannot suffice industrial needs. Whenever performance is highlighted, energy becomes a concern. However, this is not the case with Vornado pedestal fan. Your monthly electricity bill will not increase because of using this standing fan. 683 is a light weight machine. Whenever you need to transfer it from the bedroom to the laundry room and back to the living room, it is possible with little hassle. The size is also relatively small; you do not need an extra hand in moving the fan. Besides, the power cable is long enough to allow you in moving across the room without restrictions on the power source. We all have different preferences when it comes to calmness and sleep, some people would find the blow of fan over their face soothing while to some it is a nuisance and interruption. The length of this fan’s power cable widens your options. 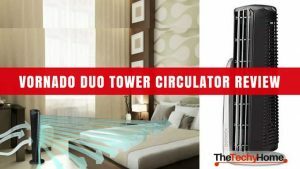 Vornado pedestal fan is universal considering all this type of people with different preferences in sleeping environments can benefit from it. Keep it as far as you can from the bed or let it blow over your face all night. Once in a while you need to dismantle the fan and clean it up; it is a machine hence need for regular maintenance. In as much as fans help in clearing out bugs and dust from the air, they also need cleaning after consistent use. You can easily forget to maintain and check on the stand and blades of Vornado pedestal fan because of its durability and quality level. Be sure to set a specific day or the month when you dismantle the whole equipment and clear with necessary equipment. The manufacturer offers extra tools in the package that comes with your order. Take time to go through the manual and learn usage of different tools provided in maintaining your fan. Proper maintenance ensures it serves you for a long period. Vornado 683 is barely noticeable. 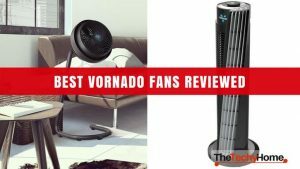 Unlike other fans, the Vornado pedestal fan works soft. You will only feel gentle breeze, which you may not trace the direction because of its uniformity. Of course, the blades rotation and colliding with air flow causes sound; however, it is nothing to interrupt your sleep or study time. If your concentration levels are low, this is the best equipment to relax the environment and help the mind to focus. Besides, some people need complete silence to sleep. If you are such, Vornado pedestal fan is nothing to be concerned of. In fact, you will only find out in the morning that you forgot to switch it off or set the timer. 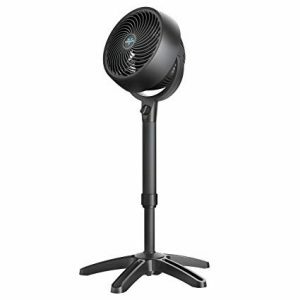 Vornado pedestal fan is way cheaper than you can imagine. 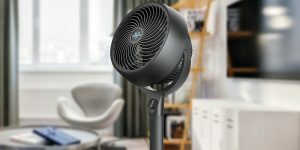 While it depends with your location and retailer, the manufacturer controls the price at an average of 50 dollars if you compare other fans of this standard, this is an amazing offer. The design and structure of this fan should be way above this feature; the manufacturer’s generosity is not in doubt. 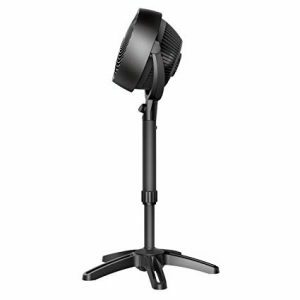 Vornado provides various options when it comes to color and structure of the pedestal fan. Common colors are gray and white, which easily blend with most interior decors. The standing fan is slim and sleek that makes part of your living room décor. Find a suitable corner in your living room or bedroom and a visitor may fail to recognize it as a fan. It is attractive. If you are concerned about the look of your living room, purchasing this fan would be a wise decision. The color and structure can generate design ideas for your home. 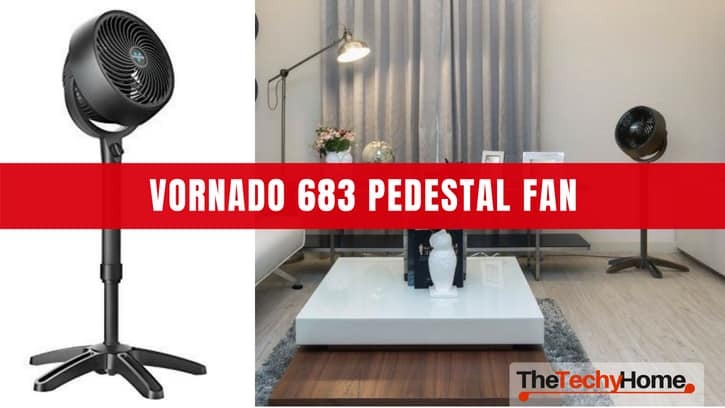 In comparison to other models by Vornado, the 683 pedestal fan is easy to install and operate. When you receive your order, the parts are usually dismantled into four five parts. While the manufacturer provides a manual for integrating the head, stand, and blades, you can figure this out on your own. Be sure to fix all the blades and lock them tightly to prevent them from falling off when you switch on the fan.